Founded and operating since 2006, ELITE Middle East (EME) is one of the best providers of heavy machinery and construction automobile within the region. We are official distributor and dealer for a wide range of international known heavy machinery / vehicle brands, we are reliable partner with our clients in construction machinery supply, and we are considered as turn-key solution provider for wide range of products. 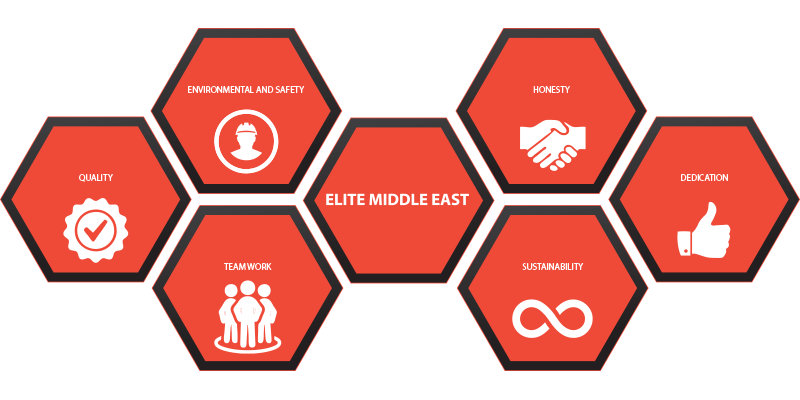 Elite Middle East is managed by professionals with expertise, from drivers, operators, technicians, engineers, and to the top managers. Raised from the seeds of an entrepreneurial spirit, we had proud history of providing value to our clients, we have an extensive track record in large-scale projects across the country and we built a strong and loyal client base from both private and public sectors which we are proud of. Core Values are the guiding principles that all EME employees demonstrate in their daily work with customers, suppliers, and with each other. We believe in fair trade and equality we employ people with strong moral principles and with highest standard of integrity in what they do. It’s always a combination of passion dedication and hard work. We are dedicated to excellence, utmost commitment and confidence on what we do. We contribute to a safe and secure environment for our employees, customers, and community. We consistently deliver the high quality of service to our customers while continuously improving our internal processes and organizational effectiveness. effectiveness. Cooperation in efficiency among our team members is a key factor to reach our project goals and succeeding as a dynamic working environment. Progress is achieved through effective sustainability safety and sense of responsibility these are key values we maintain in order to give the best and excellent services and products. Be the leader in supply and servicing of construction and Heavy Machinery company in Qatar by providing the best value products and services to customers. To be number one in the industries we serve and keeping clients satisfied and exceeding customer expectations in all our fields of services. Strengthen our market leadership by creating dynamic and win-win relationships with customers through innovative solutions and committed employees. Ensure that quality control systems are being sufficiently and effectively applied at all times. Continuously improves quality and practice procedures to ensure higher quality of service every time.